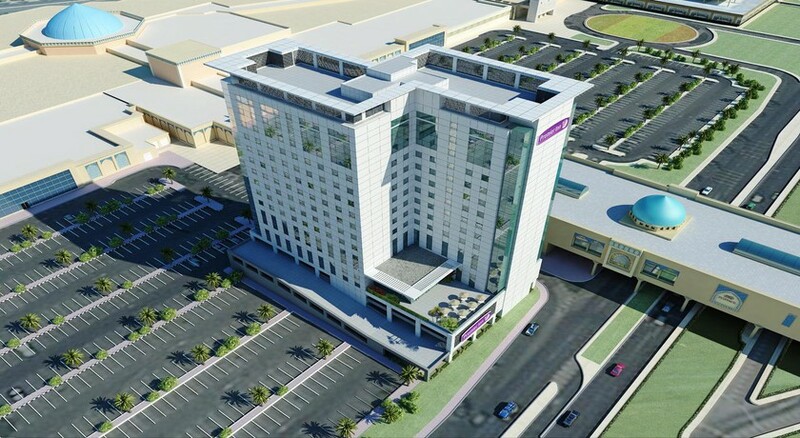 The Premier Inn Hotel Dubai Ibn Battuta Mall is located in the heart of Dubai – close to several shopping malls. As it is interlinked with a vast shopping mall, you will have a choice of hotspots for shopping, entertainment and dining. Once you are done with these, all that you have to do is explore the City of Jewels – Dubai. 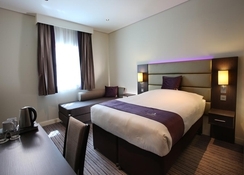 The hotel has a complete range of facilities suitable for a modern-day traveller. 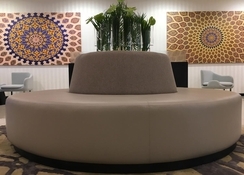 Some of the facilities include outdoor swimming pool with sun loungers, fully-equipped gymnasium, business meeting room, coffee shop, on-site parking and much more. 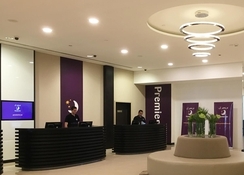 Premier Inn Hotel Dubai Ibn Battuta Mall is ideally situated on the Sheikh Zayad Road - Dubai - United Arab Emirates. Get yourself tanned while relaxing on the Jumeirah Beach, which is only 24.8km from the hotel. Take a close look at the Burj Khalifa, which is the tallest building in the world, it is about 25.2km. The Dubai International Airport is 35.8km from the property. The rooms in the hotel are absolutely stunning, where you can enjoy a nice view of the sky scrapers in Dubai. 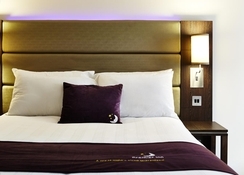 They come with all the necessary amenities that include two single beds or one double bed, flat screen TV, spacious work area with a desk, coffee & tea making facilities, complementary bottled water, hair dryer, air conditioning, iron & ironing board, baby cot (on request) and in-room service. The hotel houses a cosy restaurant, where you can have breakfast, lunch and dinner, which are prepared using local ingredients and special spices. Other than this, there is a coffee shop near the hotel, where you can spend quality time with your loved ones or your business partners while sipping coffee. 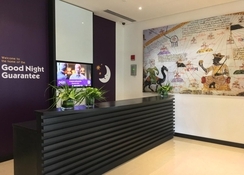 Additionally, there are several restaurants and eateries around the hotel, which include: Noon-O-Kabab Restaurant, KFC, Sicilia Restaurant and many more. 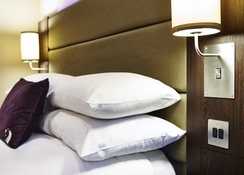 There are plenty of sports and leisure amenities to keep you engaged throughout your stay. Dive into the swimming pool and get yourself refreshed by relaxing on one of the sun loungers dotted across the pool. Those who want to maintain their fitness level can take advantage of the high-tech gym with the latest equipment’s and fitness trainer. If you want to practice golf then you can head to the Emirates Golf Club, which is about 7.4km from the hotel.